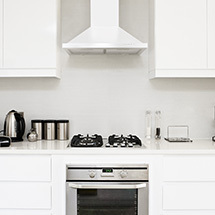 Robinhood is a leading Australasian brand of kitchen and laundry products. Robinhood products are designed to provide a happy balance of function, form and fashion. Behind the design of every Robinhood product is the aim to simplify daily tasks and give you the satisfaction of a job well done, while also adding to the visual appeal of your home. From rangehoods, and ducting solutions to laundry tubs, ironing centres, waste disposers sinks and taps, Robinhood’s award-winning range offers something to suit all tastes. Starting with basic through to breakthrough appliances, Robinhood products are sourced globally from highly-regarded manufacturers and all come with a five-year warranty.